Specialized in manufacturing of curing agents and various types of epoxy resins. 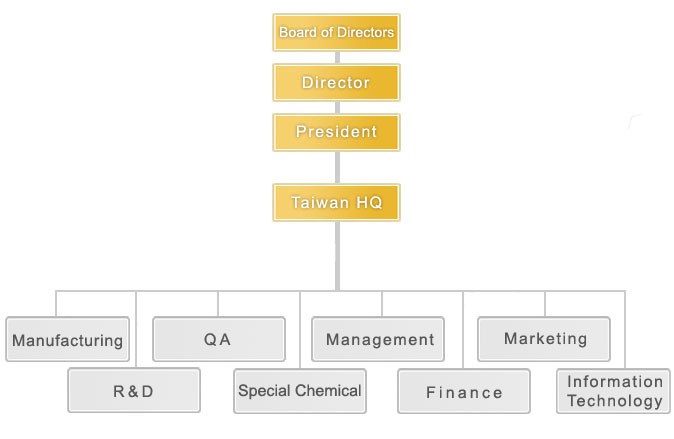 As the leading company in Polymer Chemistry sector in Taiwan and China, Truetime Industrial Corporation is Manufacturer, Developer and Trader organization. Established in 1992, Truetime Industrial Corporation (TTC) is an ISO 9001 certified leading producer of Modified Epoxy Resin and Epoxy Curing Agents (Hardener), additionally Customized Special Chemicals. Truetime Industrial Corporation is based in China and Headquarter in Taiwan. Its experienced with professional team, strong financial structure, qualified workforce, and reliable business partners. Truetime Industrial Corporation will continue to implement the most up to date methods to contribute to the Chemical Industry on a global scale by promoting new High Tech R&D, Modern Production Line, Creative Marketing and IT investments those are dedicated to produce sophisticated and diversified high quality products and services that will maintain the Harmony of the specialties with a close cooperation and collaboration of our clients. TTC provides integrated service that are customers-oriented, creative, safe and environmentally conscious. Investment of KunShan TrueTime Complex Material CO., LTD. Establishment of SuZhou True Grow Technical Material CO., LTD.
Professional R & D Team. We aim to establish an Effective, Sustainable and Lean Organization. We aim to have highly flexible production capability to Customize Products and Service. Customizing for best total Service, Products and Support. Commitment to our suppliers and customers. Lead the sector with our Organization’s operating Standards, Creativities and Values. Respond to our customers’ expectations. We create Value for our customers with our Quality Products and Rapid Service solutions. Working towards globalization with our superiority to create Win-Win relation. To maintain high environment quality, the safety and healthy working place is the reponsibility for all employees. Actively participate in social care activities and strengthen CSR.